Splitting the atom and turning water into wine is doable by any mortal. Perhaps only a Denis Matsuev, though can transform Tchaikovsky’s twelve salon pieces into a thundering passionate 40-minute symphonic sonata. It took 120 years Carnegie Hall to present the full Seasons, back in 1991, and that was logical . The dozen pieces were written month by month by Tchaikovsky, and no “real’ pianist gives them more than a second look, save for an excerpt as an encore. 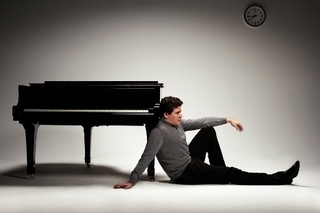 Denis Matsuev, though, is not a “real” pianist. His virtuosity and energy are superhuman, his passion is as ardent as his digital proficiency. That is evident from the very first notes, and not worth discussing at this point. After all, he could tackle any of the pieces from the Tchaikovsky work with little worry. Though for the records, despite their parlor/salon expanse, Tchaikovsky didn’t stint on challenges. He had just finished his First Piano Concerto. And while he liked the money offered him for The Seasons, he didn’t want them to be played by amateurs. We had been alerted before the concert about what Matsuev wished to accomplish. An e-mail that latecomers to Carnegie Hall would be better off grabbing a pizza across the street, since Nobody Would Be Permitted After the First Notes. That made perfect sense, Mr. Matsuev gave the space of about 1.5 seconds between each piece, so they virtually segued into each other. Most essential, he made that Steinway sing with the fullest possible tones from the very first note to the simple Christmas song at the end. He built up each piece to the umpteenth degree, and just as we were filled with that music, he came upon another gift of melody and variation. Mr. Matsuev overcame the coughs and telephone-rings for the luscious May “White Nights”, and he gave a Currier & Ives watercolor for “Troika”. But instead of separate pictures, the entire work was a unity, a complete Late Romantic sonata rather than a dozen separate works. True, not a single “theme” was repeated or developed after each was played. But the musical treasures were so wondrous in themselves, and played with such human spirit and passion by this Tchaikovsky Competition Award winner, that Mr. Matsuev created a homogenous and highly emotional work. In a way, the following Schumann Kreisleriana was akin to the Tchaikovsky. Eight separate works albeit with cyclical repetition. Schumann, though, was a man after Matsuev’s own heart. Every movement was prefaced with either Äußerst (extremely) or Verr (very), and the pianist took this to the utmost. Although Mitsuda Uchida will be playing this next year, few other pianists tackle the piece, for those first eight measures are among the most difficult ever written. Not that this was a problem for Mr. Matsuev. He tore through the extremities with appropriate tumult (poor Bobby Schumann couldn’t play them himself, and even Clara had a difficult time), giving space for the following tender, harsh, defiant movements, ending with a seventh movement faster than I have ever heard it. Was it too extreme? Did he not give way for the two slow movements? No, extremity here was the right way to go. Mr Matsuev might not have thought of Schumann as a “romantic composer of children’s pieces’, but as the man bedeviled by syphilis, frustrated, on the point of insanity and suicide. For that, we don’t need Tender Loving Care. For the finale Péttrouchka three movements, made for piano by Stravinsky himself, Mr. Matsuev obviously had a good time. No spaces between the movements (it was attaca all the way, from the first notes of the Fair (bringing back Tchaikovsky’s “Carnival”) to the literal attack of the Moor’s scimitar. One pianist in the audience was literally left gasping at the momentum, the whirling panoply of notes and–above all–the clarity, no matter what the phrase, no matter how complex the finger-working. This was a concert of an audience-wide ”Whew!” and “Wow!” and Mr. Matsuev responded with a quartet of encores. Never a miser in these matters, he gave us Liadov’s Musical Snuff Box, and two etudes, by Sibelius and Scriabin. For the fourth, Mr Matsuev played his own arrangement of Duke Ellington. Somehow, you might conceive of Teddy Wilson, Erroll Garner and Art Tatum on a 264-key piano, multiplying their virtuosity by quantum points, augmented by the staggering fingers of the soloist, and managing to fit in Take The A Train. Duke Ellington, whose demeanor was of careful, almost blasé appreciation, would have been–as we all were–stupefied.